Niagara Spears Senior Varsity football team came home with the only victory from a Saturday road trip which featured all 4 Niagara teams. Justin Succar scored the offensive touchdown for the senior varsity Spears while Mitchell Demers returned an interception for the second touchdown. Next Varsity game: Saturday, May 26th, Cambridge Lions 8pm at Kiwanis Field. 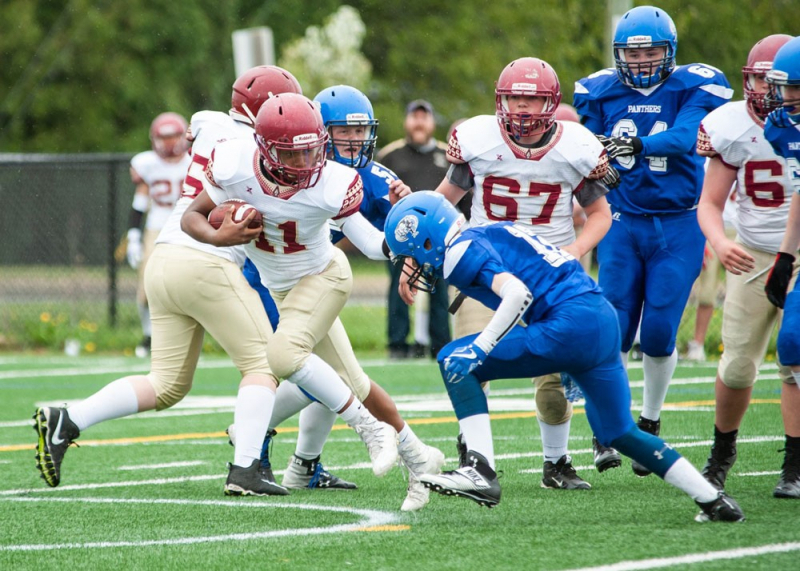 Next JV Tier 1 Game: Friday, May 25th Cambridge Lions 8pm at Kiwanis Field. 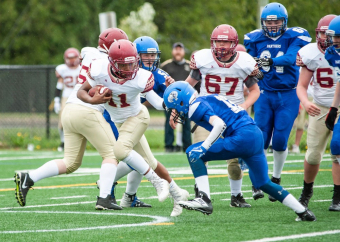 Marshall McCray, no.11 scampers for additional yardage in the Niagara Spears - Cumberland Panthers bantam game played in Ottawa on Saturday.